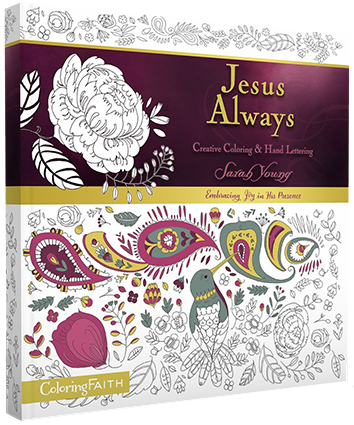 Receive the joy of the Lord as you relax and reflect on Scripture and quotes from #1 bestselling Jesus Always while coloring intricate illustrations and learning hand lettering. This one-of-a-kind adult coloring book features coloring pages, a hand-lettering tutorial, and templates. Experience a deeper relationship with Jesus as you focus on His words of hope, guidance, joy, and peace.